Throughout the U.S., food delivery apps like GrubHub and Postmates have totally transformed takeout. These services offer eaters a variety of cuisines and restaurants to choose from, a far cry from the days when many American homes could only order pizza for delivery. And unlike other tech startups, food delivery companies have developed solid profit models based on the service fees they charge. This dependable system translates into markets throughout the world. The Berlin-based delivery service Foodpanda, for instance, operates in more than 40 countries and partners with hundreds of thousands of restaurants. However, one nation has been a notable holdout against the new wave of delivery apps. Over the past three years, more than 400 firms have tried to launch in India, raising $120 million in venture capital in the process. Companies like Foodpanda and TinyOwl set out to disrupt traditional services like Mumbai’s “dabbawalas,” individuals who deliver more than 175,000 meals daily. Although these couriers have existed since the 1890s, the startups figured their capacity for last minute ordering and wide selection would win customers over. 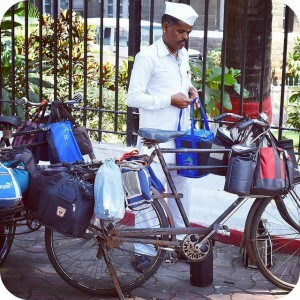 After all, dabbawalas require clients to lock into a monthly meal plan that cannot be altered once it’s set. This strategy hasn’t worked out, though, causing dozens of startups to close as many others teeter on the brink of bankruptcy. According to experts, companies put too much of an emphasis on quick growth rather than focusing on profits first. For example, the deep discounts offered by the Mumbai-based TinyOwl helped the company attract more than $20 million in venture capital within a year of its 2014 founding. By 2015 the company’s workforce ballooned to 1,200 employees as the CEO announced plans to expand to 50 cities by the end of the year. TinyOwl now operates in just two cities with a staff of approximately 200 people. The company reached its lowest point during the downsizing process when enraged staffers at a satellite office took a co-founder hostage as he broke the news. “The story was glorious when they had lots of money in the bank, but they went madly after customer growth and spent it quickly,” said Anil Joshi, a high-level investor who steered clear of delivery startups. How can Indian food delivery companies strike a better balance between profitability and growth? Why do some business concepts succeed in one country but fail in another? Source: Adi Narayan, “Startups Haven’t Replaced India’s 19th Century Food Delivery Service,” Bloomberg BusinessWeek, February 3, 2016. Photo by Scott McLeod.